The 2.0″ Performance system is the pinnacle in both performance and ride quality. The larger shock diameter allows for more oil flow through the piston which in turn delivers better dampening and cooling. These shocks are built to the same tolerances and quality as our race proven off road shocks and bolt right on your vehicle. These rear shocks are custom valved for the Titan. The Rears are designed specifically for use with 5″ lift kits. 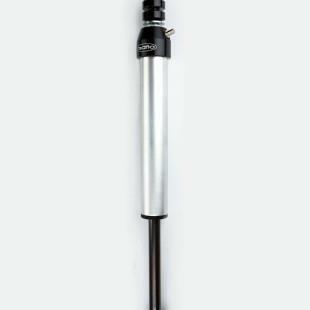 Rear 2.0″ shocks are available with remote piggyback reservoirs and match the lift kit rear dimensions.